Developer r3st1t0u has released “Order 66” Substrate Fix for mach_portal beta 3. Let’s find out more about this new tool. Update (April 13) – An improved of this tweak called Order 65 for Yalub3 has been released. Download it from here. What is Order 66 Substrate Fix? Why is Order 66 Substrate Fix useful? 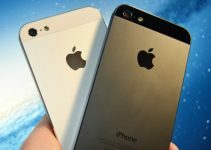 Is Order 66 Substrate Fix Safe to Install on iPhone 7? Which devices does Order 66 Substrate Fix support? Order 66 is a command line interface tool that makes your life easier. Order 66 debian package is made for iPhone 7 and iPhone 7 Plus running yalu+mach_portal beta 3 jailbreak. This script checks what is present in this path – /Library/LaunchDaemons and then starts it. Once installed, it requires minimal user interaction. It doesn’t need internet connectivity to function properly. 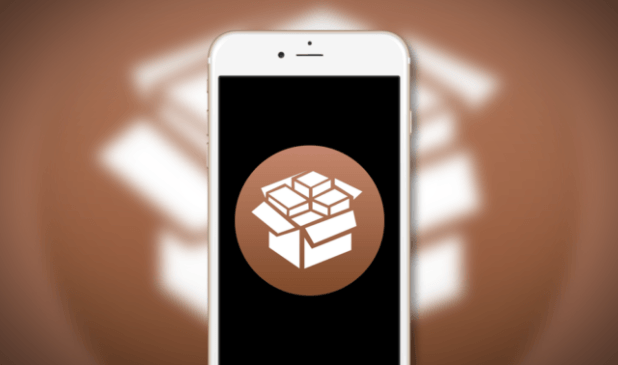 Order 66 Substrate Fix makes Cydia tweaks dependent on LaunchDaemons much more stable. Its “execute” command will enable Cydia Substrate and start LaunchDaemons which don’t start automatically by default. Anemone theming tweak works on devices running iOS 10.1.1. However, Anemone will not work unless it is re-installed along with Rocketbootstrap after you restart your iPhone 7. 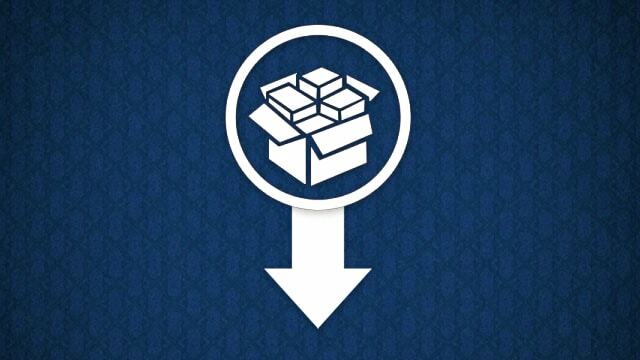 Launch Daemons of Cydia tweaks aren’t correctly launched if you don’t reinstall them. Substrate Fix for Yalub3 will re-install Rocketbootstrap and Anemone automatically. Any other tweak dependent on /Library/LaunchDaemons/. This tool doesn’t require you to have Anemone installed. 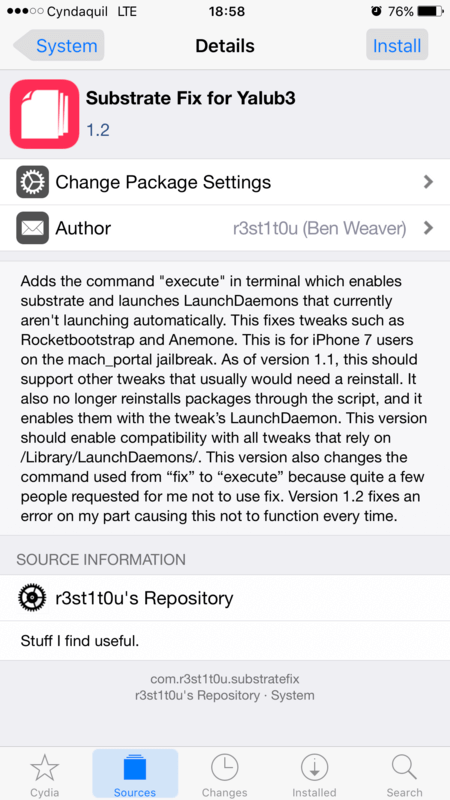 If you have Rocketbootstrap-based Cydia tweaks or anything else that uses LaunchDaemons, you can still install it. Yes, this Substrate Fix is perfectly safe to install and use on your iPhone 7 or iPhone 7 Plus. The reason being it does not change Cydia substrate or any other file. Once you run the “execute” command, the effects remain only until you reboot your device. Even if you have any other Substrate fixing tools installed already, it will still work fine without any conflicts. It just overwrites what other fixes use. It is much better than using ijapija00’s Substrate Enabler. With this tool, you just need to run the “execute” command whereas, with ijapija00’s tool, you will need to reinstall all tweaks that depend on LaunchDaemons. If you have it installed already, remove it and then install Order 66 Substrate Fix for Yalub3. It is only compatible with the following devices running mach_portal jailbreak. 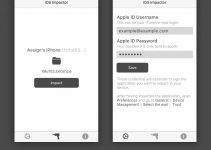 Step 1 Re-jailbreak your device with mach_portal by sideloading it with Cydia Impactor. 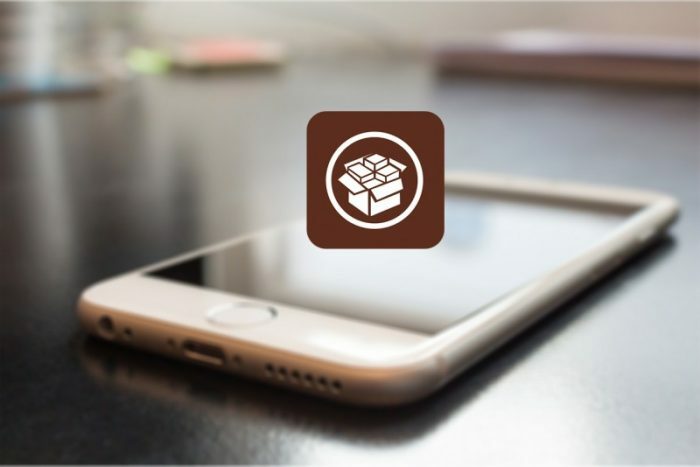 Follow this tutorial to re-jailbreak properly. Step 2 Run mach_portal application to put your device in jailbroken state. Step 3 Launch Cydia and add this repo – https://r3st1t0u.github.io. Step 4 Install Substrate Fix for Yalub3 package. Step 6 Install CydiaRespringFix package. Order 66 Substrate Fix does not fix backboard. Backboardd problems are directly related to mach_portal exploit which is difficult to fix. So you need CydiaRespringFix to fix the respring issue. Step 8 Type execute and press return. Order 66 doesn’t require root privileges to run. Step 9 It will prompt you to enter your root password (default password is “alpine”). Enter your password here. That’s it! You can now use any tweak you want to. Remember, each time you restart your device, you will need to repeat this process. If you are facing any errors, be sure to leave a comment below. As you know, iPhone 7 jailbreak has a lot of errors right now. Order 66 Substrate Fix will surely make your iPhone 7 much more stable. If your tweaks are not working as expected, run high command first and then run the execute command. This will fix your issue. 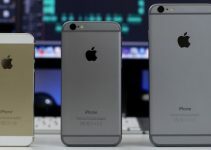 The developer is currently developing a completely hands-free solution for iPhone 7 users. This will add an application to your home screen that will run all the commands automatically. Let’s hope he comes out with an updated version real quick. If you liked this tutorial, don’t forget to give us a like on Facebook and Twitter. Which iOS 10-10.3.3 jailbreak should you choose? The execute command worked for me the other week then all of a sudden it never worked one day. I used to notice when I used “execute” I would see “Order 66” pop up in the command lines and now when I used “execute” I don’t see it at all. I feel like that’s part of the issue. I’ve tried everything possible to turn on my substrate. I’ve come back onto this page hoping for another solution. I don’t understand the “high” command when I run it nothing happens. I follow instructions pretty easily so if there’s anything else I can do to fix this I would greatly appreciate it. I’ve installed it. I also still have the Substrate Fix for Yalub3. Do I still have to execute within the Mterminal.? Or rejailbreaking through Mach_portal will activate Substrate automatically.? I’m currently attempting to re-jailbreak through mach_portal after the Order65 install and all it’s doing it restarting my phone without jailbreak. Should I just keep trying.? 1. If it’s rebooting your iPhone, try it a few times again. 2. If it still doesn’t work, install Order 66 and Executer. 3. If none of these options work, clean up your jailbreak with SemiRestore. Only use this as a last resort when all other tweaks/fixes are not working for you. It not only reboots my phone but when it does jailbreak it causes my iMessage not to work so I have to go into MTerminal and run the chmod commands and reboot only to have to start the process over again. I will have to try the SemiRestore, it’s found in Cydia correct.? A simple question: shall I remove “Substrate Fix (iOS10)” or it may cause any compatibility problem with “Substrate Fix for Yalub3 and Executer”? hello, Riccardo. Yes, you should remove the Substrate Fix before installing Order 66. Hello, Sulaiman. Have you tried the high command given below? Everytime I resrping my device to enable this, my phone goes in safe mode! PLEASE HELP! That’s weird. Do you have any other “fix” tweaks enabled? What’s your device/firmware?